Obama didn't mention Donald Trump in his conversation on civic engagement and community organizing at the University of Chicago on April 24. Though Barack Obama's first post-presidency speech on April 24 and the March for Science on April 22 were at least partially born out of a need to address dangers presented by the agenda of President Donald Trump and a reinvigorated GOP, both only winked at Trump while embracing a kind of bloodless nonpartisanship. Held just a few miles apart, the two highly publicized events kept Trump and his agenda in the margins. The 44th president danced around his predecessor's name as if Trump were Voldemort. And while many pro-science marchers carried signs that attacked and mocked Trump, the speakers at the rally were careful not mention his name—part of an effort by the organizers to somehow keep the demonstration apolitical. Obama and those behind the march focused on good-mannered civility and a rededication to our trusted civic and academic institutions. The common thread seemed to be a smug certainty that if you could politely point to the correct facts as confirmed by credentialed experts, you'll eventually find consensus. In doing so, Obama and the pro-science crowd missed out on capitalizing on the hunger for a more direct kind of opposition to Trump that has been bubbling up from the grassroots since Inauguration Day. "What's been going on while I've been gone?" 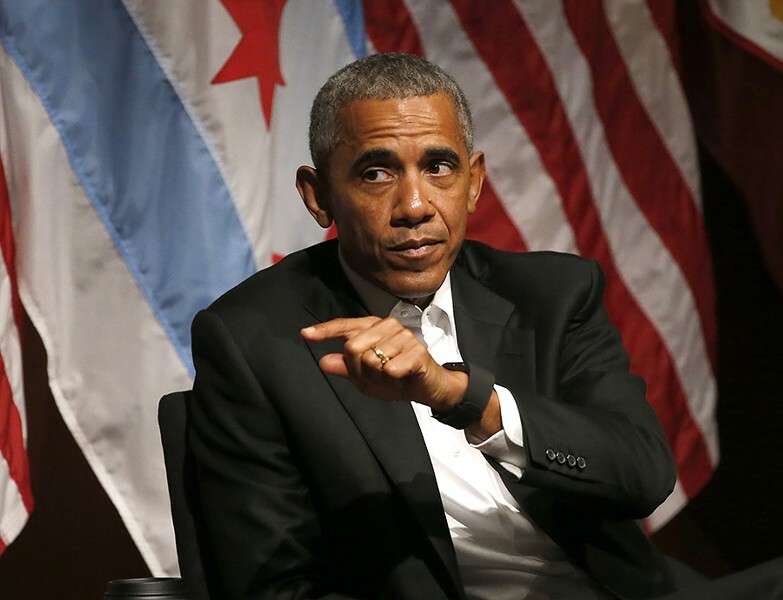 Obama wryly joked at the outset of his lecture and round-table panel discussion at the University of Chicago. He preferred instead to focus on his foundation's plan to help lift up the next generation of leaders through a kind of neighborly face-to-face engagement and community organizing that aims to pierce the Internet-enabled bubbles, for both liberals and conservatives alike, that are inflated with bias-confirming information. Changes in the way media is consumed, Obama said, reinforce people's "own realities to the neglect of a common reality that allows us to have a healthy debate and then try to find common ground and actually move solutions forward." Like many of Obama's ideas, his plan to nurture the next generation's ability to "seize the future" sounded smart, reasonable, and beneficent—but totally removed from the exigency of the moment. Why focus on correcting the excesses of social media or the manners between sectarian factions when today the levers of institutional and political power are firmly controlled by the Trump administration and its right-wing congressional allies? 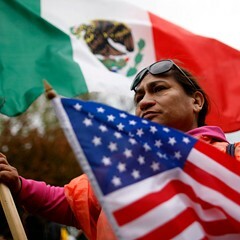 These forces have already disrupted the lives of refugees and immigrants with travel bans, installed a new Supreme Court justice who may tip the judiciary towards a conservative agenda, and dropped "the mother of all bombs" in Afghanistan. Next up: plans to plunder the safety net, slice up the tax code to favor corporations and the wealthy, gut the Affordable Care Act and regulatory federal agencies, expand our theater of war in Syria, and start a new conflict with North Korea—seemingly with the intent of accelerating America's descent into some kind of dystopian empire stained with coal, oil, and blood and ruled by white Christian plutocrats. To listen to Obama, it was as if these threats to our institutions and democracy were a long-term philosophical problem that needs to be calmly workshopped and TED-talked rather than an imminent foundational crisis. 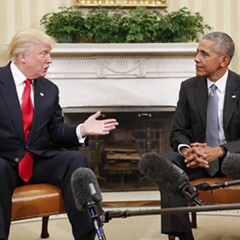 Why clench your fist in resistance to Trump and his allies, Obama seemed to be asking, when you can simply extend a hand in offer of a handshake? 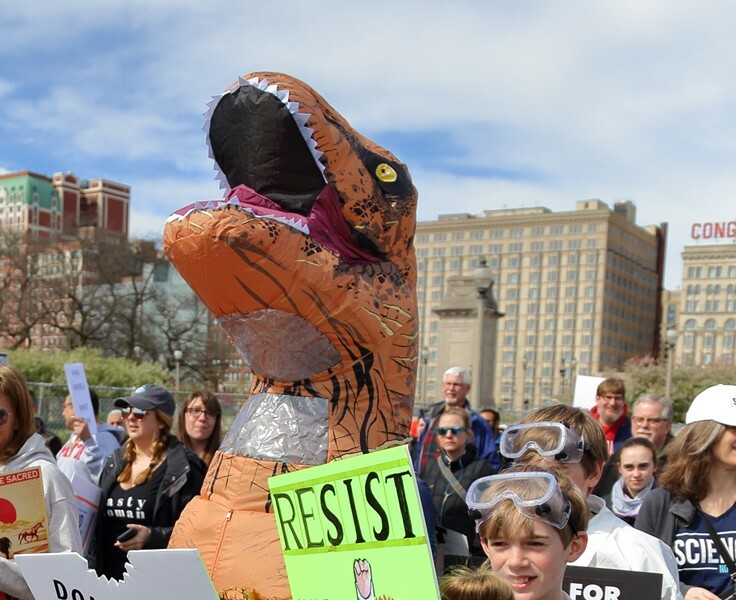 During the March for Science, demonstrators dressed in space suits, lab coats, and dinosaur costumes rallied in Grant Park before strolling down Columbus Drive to the Museum Campus while holding homemade signs. A typical sign carried the slogan "May the Facts Be With You" next to a picture of Yoda. The crowd looked remarkably similar, in fact, to the nerdy cosplayers clad in superhero spandex and robot suits who were gathered just down the lakefront at McCormick Place for the Chicago Comic & Entertainment Expo. More than 40,000 people—many dressed in colorful costumes—attended Chicago's March for Science on April 22. The Science March should have focused on the fact that the Trump administration is rolling back Obama's environmental policies. If Trump's agenda were to be fully implemented, one study by research consultancy Rhodium Group estimates, the cumulative gap between Trump's policies and Obama's policies could exceed four billion metric tons of carbon dioxide pumped into the atmosphere—in effect changing the trajectory of the world's efforts to curb global warming. 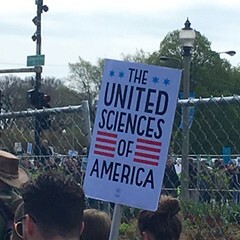 While many of the marchers turned up explicitly to oppose Trump's anti-environmentalism, the official speakers stuck to anodyne speeches about the importance of racial and gender diversity in science and a respect for data. "Science is for everyone and is done by everyone," Garry Cooper, CEO of the Chicago-based science research startup Rheaply, told the crowd. There's nothing inherently wrong with a pleasant pep rally for science. But you'd be hard-pressed to find many Chicagoans who would argue that science isn't an essential pursuit that makes our lives better or that scientific facts should be disregarded. The crisis we're staring down in terms of science funding and climate-change legislation is a political one. Fixing this crisis requires gaining more power, not more awareness. Neutrality is much more excusable for working scientists, who may rely on being perceived as apolitical for legitimacy and for what little federal funding they might receive. For Obama, however, it just looks as if he's trying to preserve the institutionally respectful, market-oriented centrism that's been at the heart of the Democratic Party for the past couple of decades. He once again dusted off the words of his presidential hero, Abraham Lincoln, by urging his fellow citizens to rediscover their "better angels" in an effort to be countrymen to each other rather than enemies. In context, however, the statement reminded me of one Lincoln's predecessors, Henry Clay, who once said, "All legislation, all government, all society is founded upon the principle of mutual concession, politeness, comity, courtesy; upon these everything is based." The 19th-century senator, representative, and presidential candidate was known as "the Great Compromiser" and "the Great Pacifier" for his central role in grand bargains like Compromise of 1850, which resulted in the enactment of the Fugitive Slave Act. One of the low points in American legislative history, it required officials in free states to return escaped slaves to their masters in slave states. Clay agreed to it because he wanted to placate pro-slavery sentiment and ease tensions between the north and south. It was a temporary Band-Aid that did nothing to resolve the fundamental dispute over slavery, its merits, and its future—a core divide which, of course, led to the Civil War. The Fugitive Slave Act has a modern successor in Trump’s travel and refugee ban—a form of his long-promised "Muslim ban" that has served to allow federal authorities uproot families, detain children, and deport immigrants. That's to say nothing of the massive wall along the Mexico border that Trump still insists on building. With a president intent on making such ghastly measures reality, looking for a middle ground feels like an impossibly quixotic task. Compromise and civility works when partisans of both sides of a dispute are reasonable and rational actors. It's time to stop pretending that both sides in Washington, D.C., qualify.